Is Matchmaking The New Online Dating? 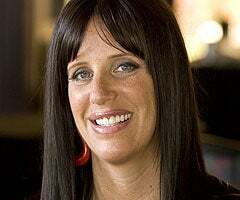 Patti Stanger, aka Bravo's Millionaire Matchmaker, just got a six-figure book deal to dispense her dating advice to the literate public. That deal was reported yesterday by GalleyCat, and today, the Christian Science Monitor has a profile of another California-based yenta, Julie Ferman. In eight years, Ferman, who runs a business called "Cupid's Coach," "has paired 100 couples who married or are still together," reports the Monitor. Apparently there are 1,500 independent matchmakers in the US, and part of their current resurgence is due to the fact that online dating freaks some people out: according to the Pew Internet & American Life Project , 66% of internet users believe online dating is dangerous. Most of Ferman's clients aren't of the internet age in the first place: she estimates that most of her clients are in their late 30s to early 60s. The most interesting thing Ferman says in the interview is that her difficult clients are not the ugly ones — they're the ones who are unhappy. "They think that's all that is lacking from their lives - the right person...They're impossible to please because they're looking for a panacea, not a person."